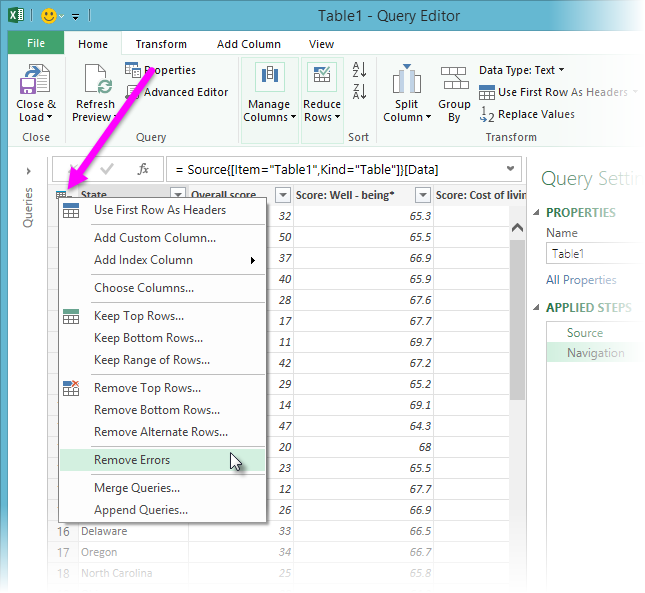 In Power Query, if your query has rows with data errors, you can remove these rows from your query. Data errors can occur as a result of a query or step evaluation, such as changing the type of a column to Number that results in errors for some cells. In Query Editor, right-click the table icon ( ). 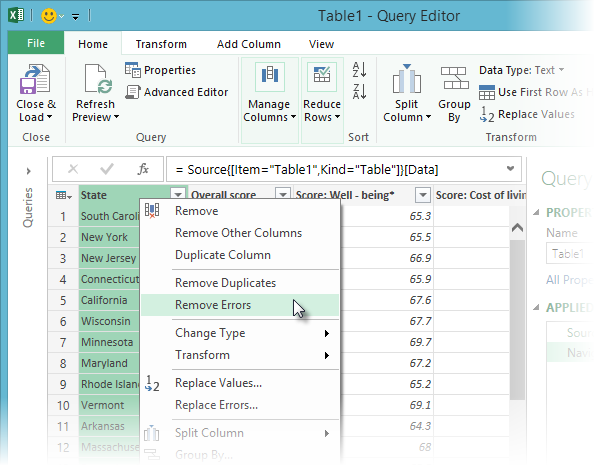 In Query Editor, right-click on the selected columns from where you want to remove the rows containing data errors.